I want to inspire a movement where people can be their authentic selves and work without fear. We limit ourselves because we’re scared of failing, saying the wrong thing or speaking up at the wrong time. I believe everyone should have the opportunity to work in an environment where they can freely and confidently express their ideas and chase their dreams without hesitation or fear of failure. I had the pleasure to interview Mike DeFrino. Mike is Chief Executive Officer for Kimpton Hotels & Restaurants. 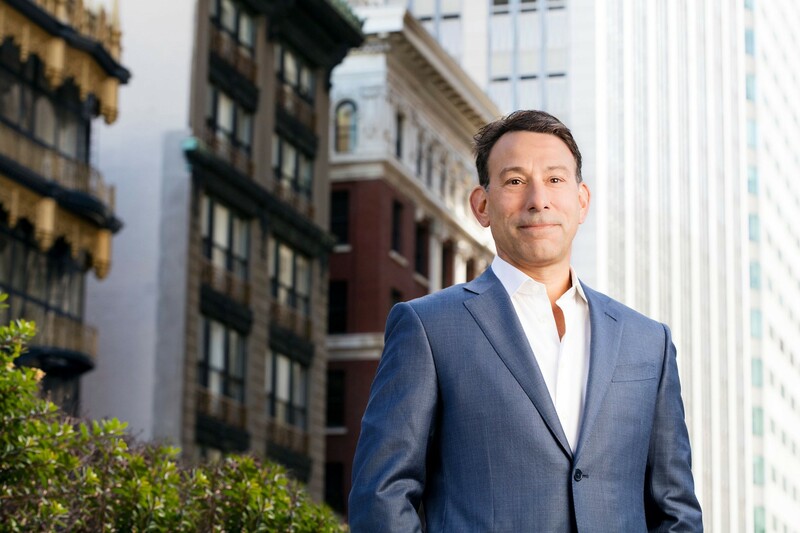 As CEO, he is responsible for overseeing all personnel and systems to acquire, develop, renovate, operate and maintain the 64 hotels and over 80 restaurants in Kimpton’s portfolio. In 2015, InterContinental Hotels Group (IHG) acquired Kimpton with DeFrino guiding the complex facets of the acquisition and leading the global launch of the luxury boutique brand. DeFrino has also played a vital role in establishing an inclusive, empowering culture — one that has elevated Kimpton as the consistently highest-ranked hospitality company in the U.S. for workplace culture satisfaction. I was raised in an Italian-American household of five and our family bonding took place at the dinner table over homemade dishes and shared conversation. From an early age, I was intrigued by food and its ability to inspire human connection. My parents always believed that everybody should try everything once. At 14, I started experimenting in the kitchen, enrolled in culinary classes and got my first job as a dishwasher at a local restaurant. In high school, I started applying to hospitality programs and eventually moved to Atlanta for college, where I took up multiple bartending, serving and cooking positions to explore the restaurant industry while attending school full time. I was accepted into the management training program at the Ritz Carlton in Atlanta after college, where I oversaw the housekeeping department while also juggling two bartending jobs. I was constantly hustling and throwing myself into new and uncomfortable situations which helped me grow both personally and professionally. After eight years at the Ritz, I was ready for a change. I took a leap of faith, ended up at Kimpton and haven’t looked back since. A quick look around our Home Office in San Francisco tells you a lot about how Kimpton leadership encourages everyone at Kimpton to have fun and not take themselves too seriously. For starters, we have two ridiculous life-sized cow and sheep statues in the hallways that we call our friendly neighbors. Throughout the year, you can find portraits of our executives donning wigs, party hats, ugly Christmas sweaters and playful hotel bathrobes in celebration of one occasion or another. There are no egos that prevent us from joining in on the everyday fun. I prefer an egalitarian approach to leadership, which shows up in the minimal hierarchal levels found among our employees. I value transparency and open communication, which means encouraging employees at every level of the organization to take part in business decisions and own how they uphold the Kimpton brand. I find that this approach fosters an innovative, entrepreneurial spirit and stimulates collaboration. We also encourage our employees to bring their best, authentic selves to work every day. We don’t demand they follow the script; they should innately know how to take care of our guests and one another. We invest in them as people, strive to inspire them, help them develop their careers, and always empower them to do the right thing. What is the top challenge when managing global teams in different geographical locations? Our culture is extremely important to me and also fundamental to the Kimpton brand. It’s what fosters employee morale and fuels our guest loyalty. Culture is something we work hard to foster and protect, especially as we expand globally. As we introduce our heartful approach in new regions, we’re thoughtful about how our culture will translate in those markets. We have a talented team that’s dedicated to the opening and transitioning of new hotels, with a large part of that training focused on cultural immersion. Having open lines of communication and a strong foundation of trust is critical when you’re working with global teams. I try to be disciplined about staying in touch and being accessible to my teams so employees have an opportunity to ask questions and be heard no matter their role or geography. This helps empower employees to share their own recommendations and ideas on how to make our guests’ stays special and memorable. It starts with understanding who they are and what drives them to be the best version of themselves. We celebrate individuality and believe that it’s our employees who anchor the Kimpton experience. It’s important that they feel invested in the business and know that their opinions and ideas are valued. Great ideas can come from anyone at any level if you just take the time to listen. I’m a firm believer that happy employees equal happy guests, and we’ve seen compelling business results to prove that there’s a direct correlation between the two. We see that employees who experience a high level of satisfaction work smarter, harder and take greater pride in a job well done. It’s our original, and creative employees that provide the special Kimpton experiences that keep our guests coming back. That’s why we take a servant approach to leadership and believe that as leaders, we’re here to serve our employees, not the other way around. We promote from within and have a number of Kimpton veterans who have risen through the ranks (aside from myself), including a former bellman who is now our SVP of Hotel Operations. Offering competitive benefits is also a key factor to retaining top talent and is one of the many reasons why Kimpton has become the highest-ranked hospitality company in the U.S. for workplace culture. Knowing that different employees are motivated by different benefits, we offer a mix including everything from health care, family leave and tuition reimbursement to child and elder back-up care, complimentary dry cleaning and free fitness classes. · Have Compassion: Kimpton is grounded in a heartfelt approach when servicing our guests and one another. While this makes us uniquely special, I’ve learned that showing compassion is vital to the satisfaction of both employees and guests alike. For example, a new front office manager at the Hotel Monaco Philadelphia was working with us for less than 90 days when she got into a bad car accident. Her manager visited her regularly in the hospital, supplied a Kindle stocked with her favorite books, joined her for her occupational therapy sessions and then made sure that her transition back to work was seamless. That level of compassion isn’t something you can teach. · Roll up Your Sleeves: To build trust and credibility with employees, it’s important to walk the walk and get some mud on your boots. During my early days managing the housekeeping department at the Ritz, I was responsible for giving a pep talk to over 40 housekeepers every morning. After line up, I would be in the trenches with my team scrubbing toilets, stripping rooms and taking inventory. It’s important to get involved in all levels of the business to have a holistic view of the job. · Don’t be Afraid to Lead: My advice to young managers is to embrace any opportunity to lead. When I was first starting out, I was thrown into situations where I was forced to lead and inspire others at a young age. I was terrified but throwing myself into uncomfortable situations was the fastest way to learn the job. · Embrace a Service Mindset: Especially in the service industry, decision making must take place at the front where people closest to the problem are willing and able to make decisions confidently. Without clear decision-making boundaries, problems don’t get solved with the immediacy they need to and there’s a bottleneck effect that limits maneuverability if one person is responsible for all decisions. As a leader, we’re not here to be on your back, we’re here to have your back. This approach builds trust and inspires people to make their own decisions on how to best serve our guests. · Encourage Ideas and Innovation at Every Level: Over the years, I’ve become less convinced that I’m right all the time and appreciate hearing diverse viewpoints and new voices. Many of our unique offerings at Kimpton came directly from employee suggestions. For example, our brand CSR partnership with The Trevor Project originated from an employee who was passionate about their mission to save young LGBTQ lives. Employee-led philanthropy is just one of the incredible ways our teams can be a part of the bigger picture. One of my managers once told me, “they don’t need to lose in order for you to win” which has always stuck with me. At the end of the day, we’re all humans working toward common goals. There’s a way for us all to be successful — we can take care of each other and work together in the process.